SpaceX's Grasshopper is even more impressive than you probably realized – and that's saying something. While previous test flights have demonstrated the reusable launch vehicle's ability to lift hundreds of meters straight into the air before returning gracefully to Earth, yesterday's launch proved the rocket capable of much more... vigorous maneuvers. 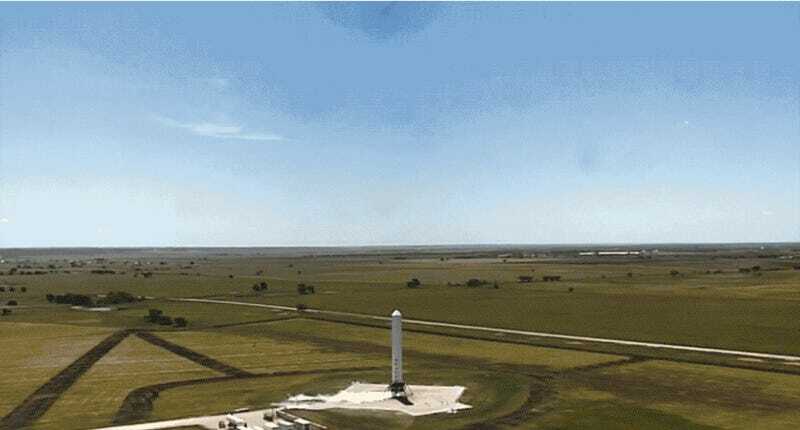 "Latest rocket test flight: hard lateral deviation, stabilize & hover, rapid descent back to pad," tweeted SpaceX CEO/e-car maven/late-date monorail-salesman Elon Musk, in a cut-and-dry description of the latest launch. According to SpaceX, the test was intended to "demonstrate the vehicle's ability to perform more aggressive steering maneuvers than have been attempted in previous flights." Demonstration successful. Apparently this vertical takeoff vertical landing (VTVL) rocket is more accurately described as a vertical, lateral, whatever-the-hell-you-need (VLWHYN) rocket.